Like Lady Liberty, we stand for independence and perseverance. In the pursuit of innovative beer, there is no obstacle too great. No journey too long. No fruit too gigantic. This American wheat beer is brewed with real watermelon, for a flavor that’s surprisingly crisp, dry and refreshing—it’s summer in a can! Hell or High Watermelon Wheat is our summer seasonal beer available from April through September in six pack cans and on draft. 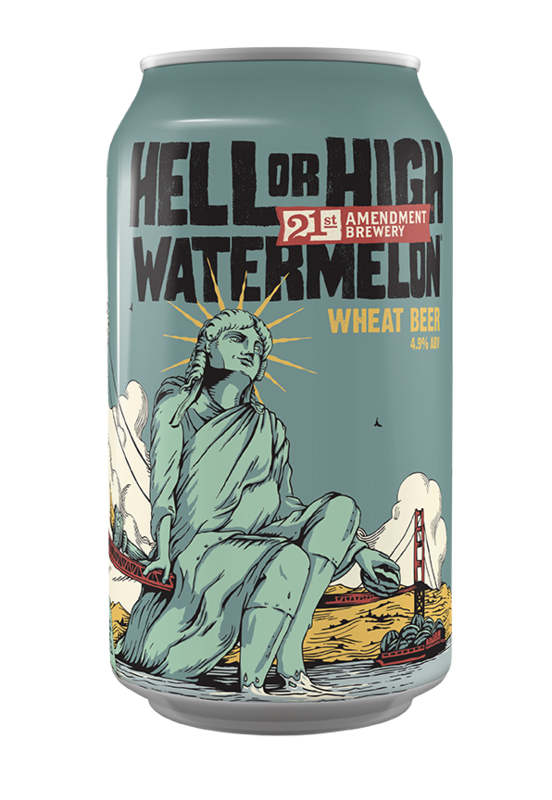 We start by brewing a classic American wheat beer, then add fresh melons for a straw-colored, delicious beer with a kiss of watermelon aroma and flavor.